Glass backs are said to be from China’s Biel Crystal Manufactory and Lens Technology, held together with its front glass by a metal frame, which suggests an iPhone 4/4S design throwback. The unnamed source said Apple could change its plans for glass backs, just like how it “ceased production” of a 5.5-inch iPhone 7 Plus with a single rear lens, six months before launch. The iPhone 7 Plus currently has a dual lens iSight setup on the back. What else could be coming in ‘iPhone 8’? According to Vincent Chen, an analyst at Yuanta Investment Consulting, his October 20th research note said next year’s iPhone will include wireless charging. Last month, the New York Times reported next year’s ‘iPhone 8’ would feature a ‘full-screen face’ and embedded Home button. In August, Nikkei Asian Review reported the 5.5-inch ‘iPhone 8’ would tout an edge-to-edge OLED display, while other smaller models would use regular LCD panels. Next year is Apple’s tenth anniversary of the iPhone, a highly anticipated model since this year’s iPhone 7 and iPhone 7 Plus retained the same design as its iPhone 6/6S predecessors. 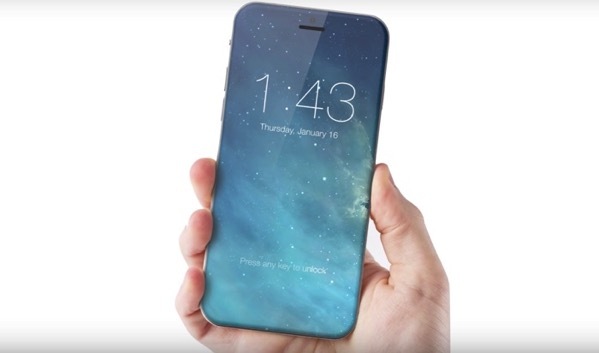 Could you see Apple adding a new 5-inch display for iPhone?